Rev. 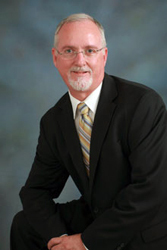 Dr. Sean Alexander is a member of the clergy and a Diplomat of the National Board of Christian Clinical Therapist and a Board Certified Supervisor and Presidential Member of the American Association of Christian Counseling having his private practice in Pompano Beach, Florida. Additionally, Rev. Dr. Alexander is a founder of Coachville and a graduate of the Graduate School of Coaching serving as a Christian Life and Business Coach. He treats adult patients, specializing in Marriage and Family Cognitive Therapy and the care of those with Depression, Stress, Anxiety Disorders and Spirituality Issues. Dr. Alexander emphasizes the approach to treatment following the Biblical, Bio-psychosocial and Cognitive Therapy Models of treatment of mental illness. He treats the individual taking into account the body, the mind, and the spirit and the culture/ society the individual lives in. He has found it is most therapeutic and cost effective to provide psychotherapy and natural alternative treatment (when appropriate). Dr. Alexander has his practice conveniently located in Pompano Beach (near Fort Lauderdale and Southern Palm Beach County). and in beautiful Vero Beach, Florida. In-home and office visits are provided for your convenience. Please note that public email is not secure. If you would like to communicate using a secure format please schedule an in-person or online appointment above. Thank you! Dr. Alexander is fluent in English.